I love learning the behind the scenes of movies. It brings so much more depth, love and respect for a story when you are able to see exactly what was put into making a movie. I’m always shocked and amazed when I find out exactly what it took. There is so much work put into making a movie, that I don’t think I could ever fully comprehend it all. 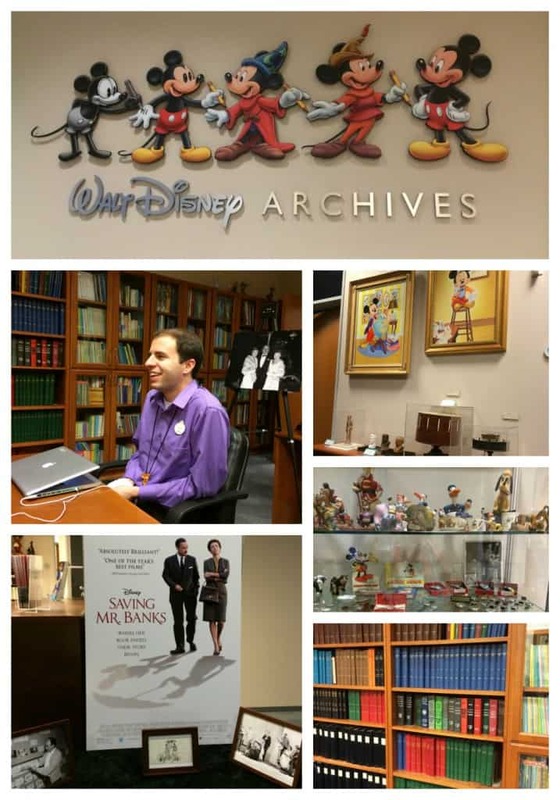 While I was in Los Angeles in February for my Disney Grand Adventure, I had the opportunity to take and amazing behind the scene look at Saving Mr. Banks and the Mary Poppins story. I love both the Mary Poppins Movie and Saving Mr. Banks so I really enjoyed this behind the scene look. This tour consisted of three separate parts that I am excited to share with you. This tour then took us through the hallway which was one of my favorite parts of the tour. Lining the walls of this hallway was photos taken from the filming of Mary Poppins. These aren’t your typical photos, though. If you look closely, in these photos you can see stage, wires, ladders, green screens and more reminding you how this film was really made. It was made entirely indoors on sound stages. That is amazing to me that they can create a whole story and location on a stage. The walking tour took us through different rooms where there were displays related to the making of Saving Mr. Banks. 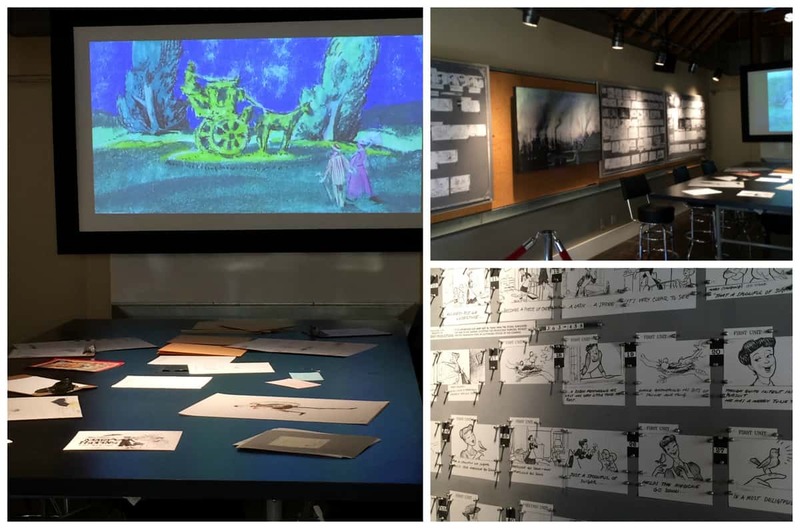 I loved seeing all of the story boards and the process that was put in to making the movie. I would love to see how many story boards it takes to make a movie! When you watch Saving Mr. Banks, you’ll have to look for these different items. You will be able to pick many of them out in the scene. It was so funny re-watching the movie and being able to point out sets that I was able to see while on my tour. I loved their amazing attention to detail as they recreated scenes exactly as they would have been for Walt Disney. Q: What does D23 stand for? A. D stands for Disney. 23 stands for 1923 which was the year the company was founded, when Walt moved to Southern California to be with his brother Roy and set up shop in the Los Feliz neighborhood of Los Angeles. 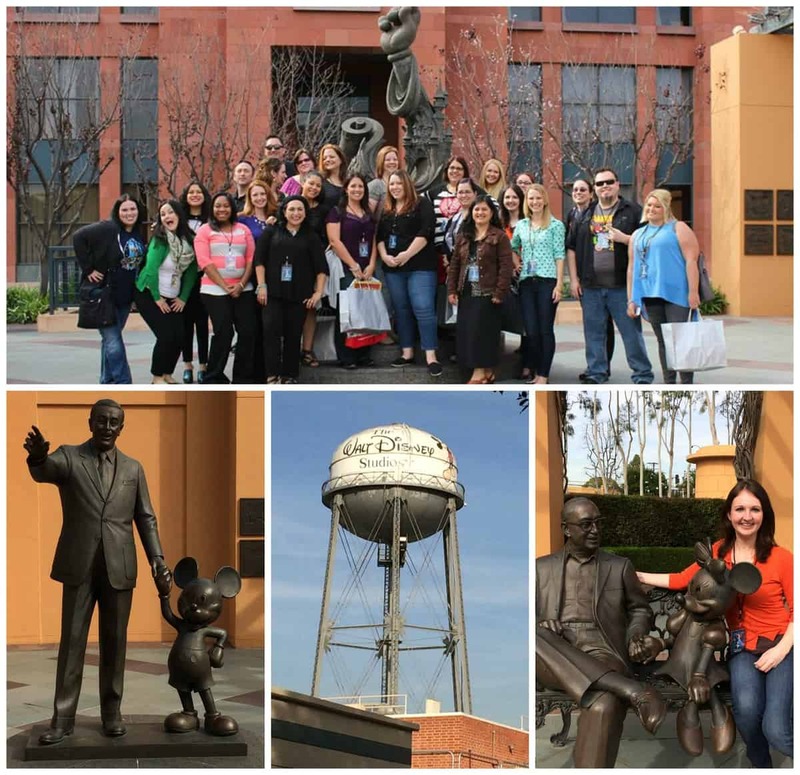 If you are not familiar with D23, I highly recommend checking it out. There are three level of memberships. There is the free level of membership which gives you access to their website which has “the complete Disney A to Z which was written by Dave Smith, Disney legend, and the founder of the archives.” The Silver level of membership gets you an annual member gift, a membership card, a membership certificate, access to all of the discounts. And the gold level members gets you the Disney 23 Magazine. 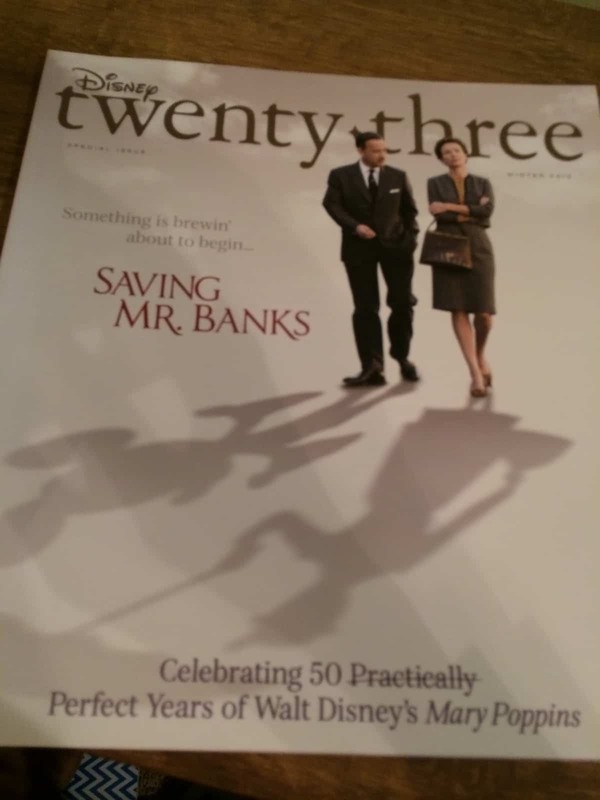 I was able to get a copy of the Saving Mr. Banks Disney twenty-three magazine and it is fantastic. It is filled with beautiful photos, behind the scenes and great information. 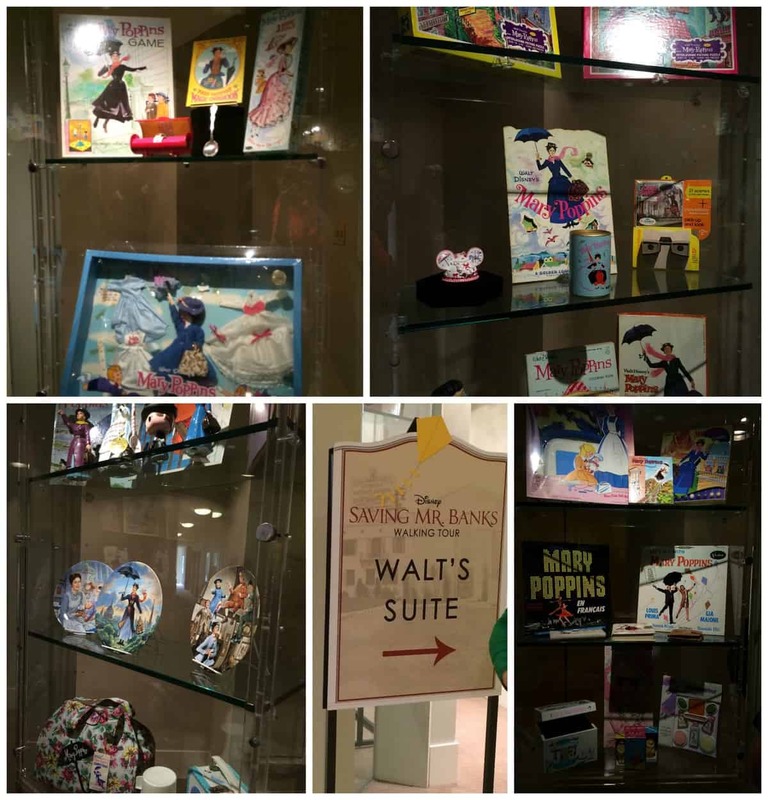 The Walt Disney Archive was really cool. 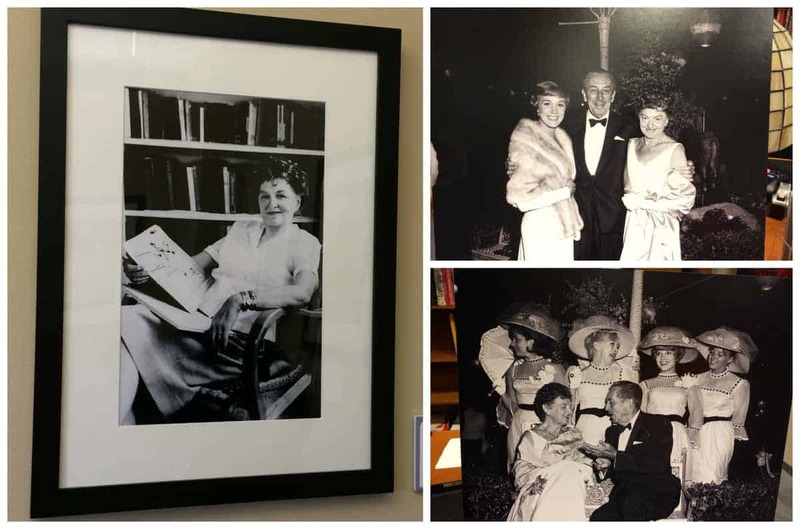 We went into the archives room, sat around a table and had the opportunity to listen to actual recording made of the meetings between Walt Disney and Pamela Travers. As you would recall from the movie, she made sure that all of their meetings were recorded. Wasn’t that fantastic, so we now have this recorded treasure! The recordings were mostly Walt Disney, Richard and Robert Sherman and P.L. Travers. This session was with Steven Vagnini in the Walt Disney Studio Archives in the Frank G. Wells Building. Q: How much of the backstory for P.L. Travers’ childhood was accurate? 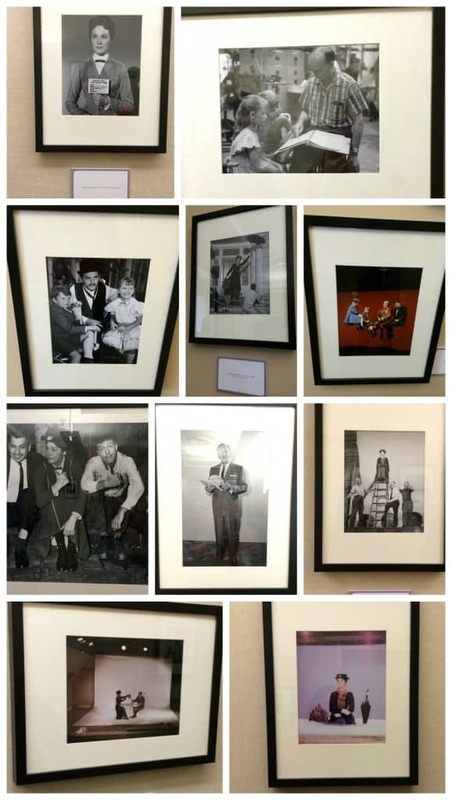 I loved these photographs. Pamela Travers, Author of Mary Poppins is on the left and on the right you will find Pamela Travers with Walt Disney at the Mary Poppins Premiere in Los Angeles. 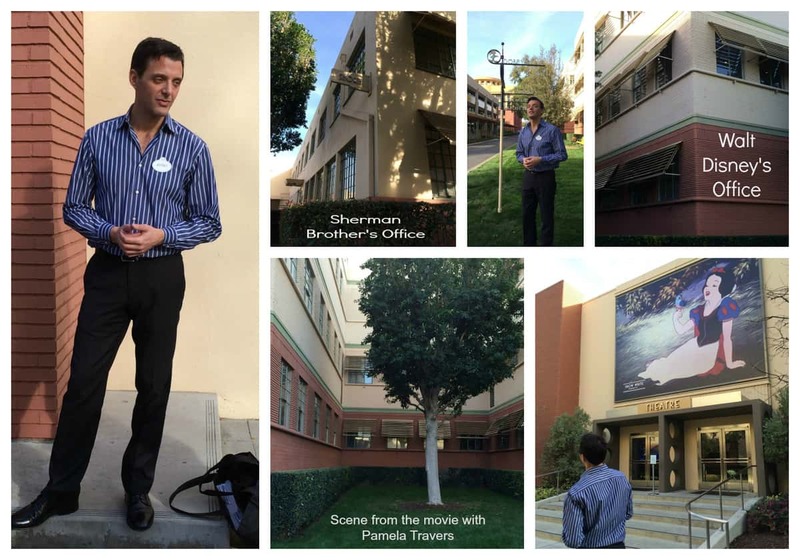 I loved learning all the behind the scenes about Saving Mr Banks. I already had loved the movie, but it made me love it even more! Thank you Disney for allowing me to have this amazing opportunity! 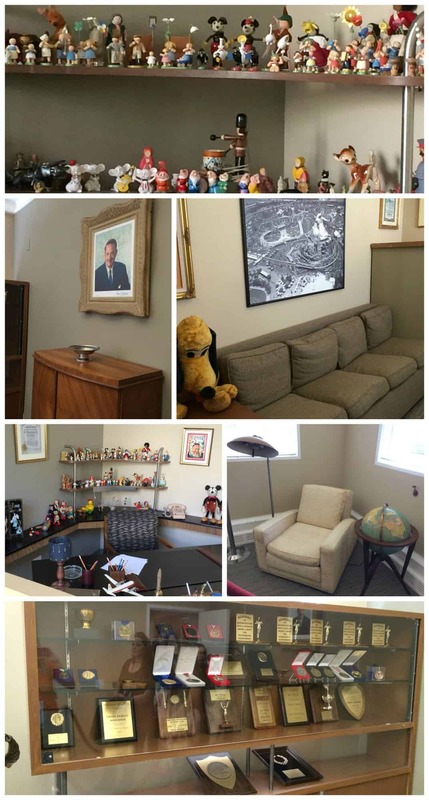 Disney provided me with a trip to Los Angeles for this behind the scenes look at Saving Mr. Banks. All opinions are my own.